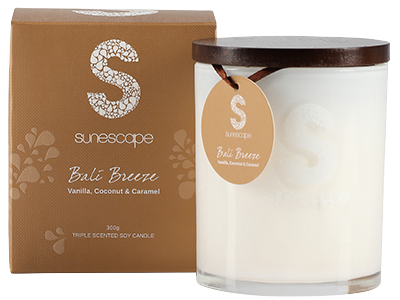 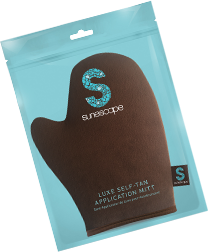 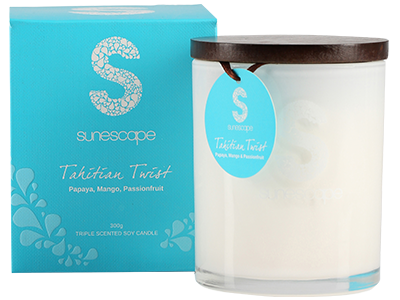 No matter where the day leads, simply light a Sunescape Triple Scented Soy Candle to transport yourself to your ultimate tropical destination. 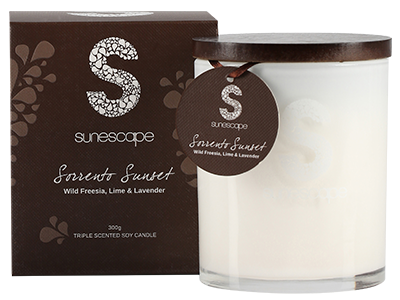 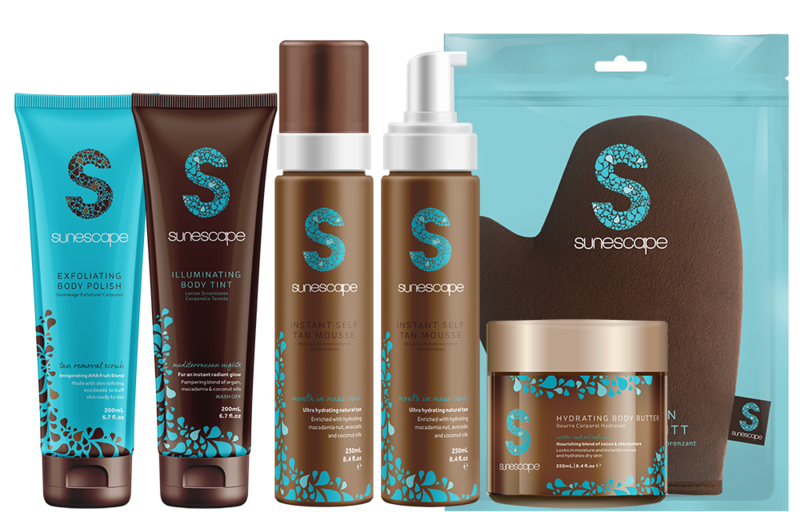 The Sunescape candle collection is sure to lift your spirits and help you unwind no matter how far you are from sunny weather and crystal-clear tides. 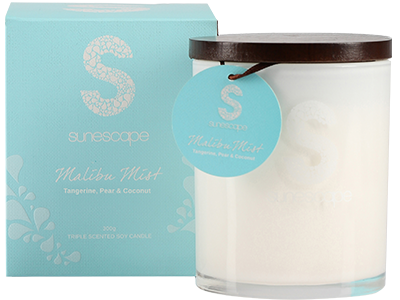 Each candle contains a trio of harmonious notes captured in soy blend wax and is finished with a hand-crafted wick, making these the candles the perfect accompaniment to anything from a self-tanning session after work to a sunset dinner on the weekends.